A young mother who receives food through WIC. An ailing grandfather who gets government support to pay his heating bill. A couple whose children receive vital medical care via the Affordable Care Act. These are just a few of the countless foreign-born individuals who, under a newly proposed federal regulation that expands the definition of ‘public charge,’ could be blocked from obtaining a visa or permanent residency status due to accessing programs that support the health and well-being of their families. This policy change, which is currently under review by the Office for Management and Budget, aims to curtail family immigration by punishing low-income families for participating in health and social services for which their children are eligible. If enacted, families would be forced to choose between fundamental needs, like food and health care, and their future in this country. This month’s edition of GCIR’s Monthly Immigration Policy Calls will provide an in-depth review of this regulation, explore the meaning of ‘public charge,’ and highlight how a campaign, “Protecting Immigrant Families, Advancing Our Future,” is uniting a cross-sector of key national, state, and local level organizations to protect and defend access to health care, nutrition programs, public services, and economic supports for immigrants and their families. Join us to learn about specific ways in which funders can respond to this newest development on public charge through strategic grantmaking and using public voice. [Draft Regulation-Updated April 3, 2018] Inadmissability on Public Charge Grounds, Department of Homeland Security, undated. 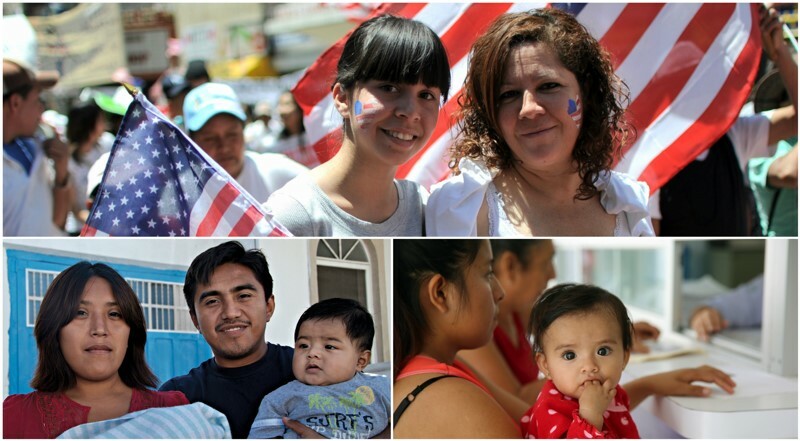 Nearly 20 Million Children Live in Immigrant Families that Could Be Affected by Evolving Immigration Policies, Henry J. Kaiser Family Foundation, April 18, 2018. Draft analyzed: USCIS to Propose Radical Changes to Public Charge Definition, Catholic Legal Immigration Network, April 18, 2018. The Trump Administration's "Public Charge" Attack on Immigrant Families: Information About an Upcoming Proposed Rule, NILC, February 8, 2018. Access to Health Care, Food, and Other Public Programs for Immigrant Families under the Trump Administration: Things to Keep in Mind When Talking with Immigrant Families, NILC, February 8, 2018. Changes to "Public Charge" Instructions in the U.S. State Departments Manual, NILC, February 8, 2018. Trump proposal would penalize immigrants who use tax credits and other benefits, The Washington Post, March 28, 2018. [Letter to the editor] Punishing immigrants for feeding their children, by Olivia Golden and Marielena Hincapié, The Washington Post, April 1, 2018. Photo Credits (from top left): Ray S/CC; Bread for the World/CC; Pan American Health Organization PAHO/CC.